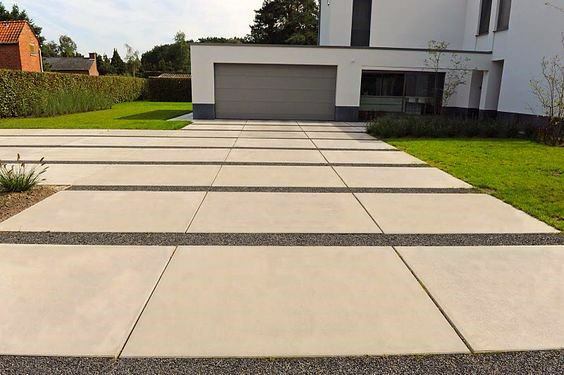 We depart and likewise venture up our driveways innumerable times throughout our lives, but do we really ever pause to consider the driveway’s impact? 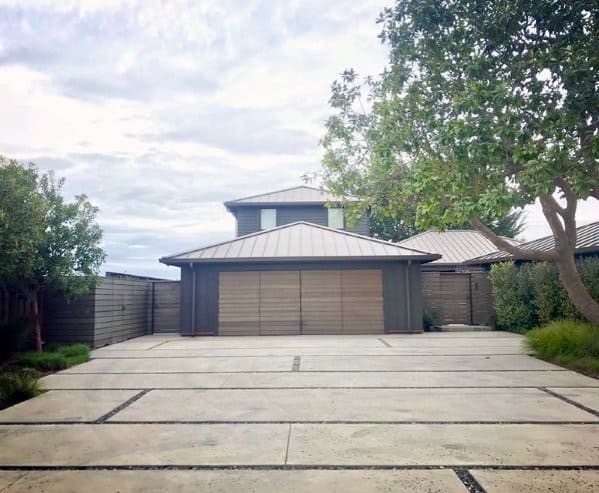 Does it merely serve a Point A to Point B function, or is there more than meets the eye when it comes to the ubiquitous drive? 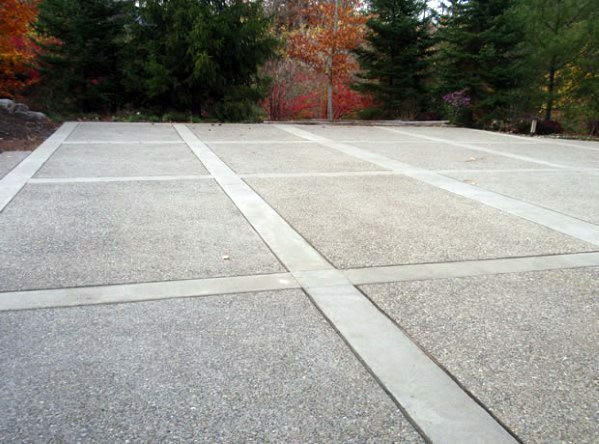 Concrete may be one of the most oft-used materials in the realm of construction, but that doesn’t mean it’s solely confined to bleak industrial purposes. 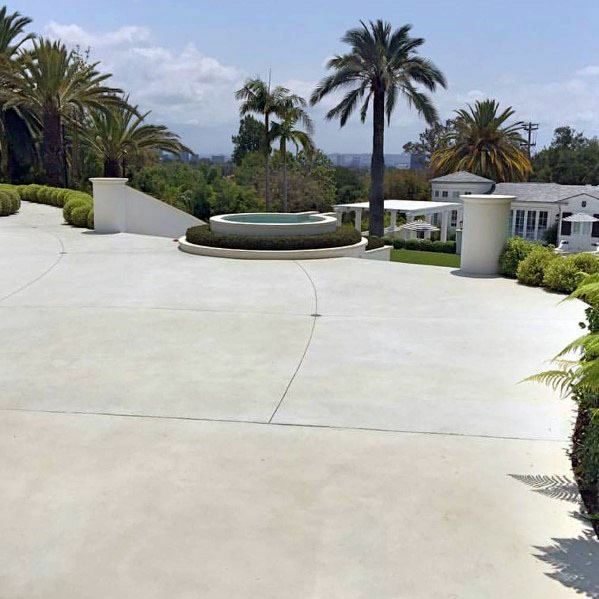 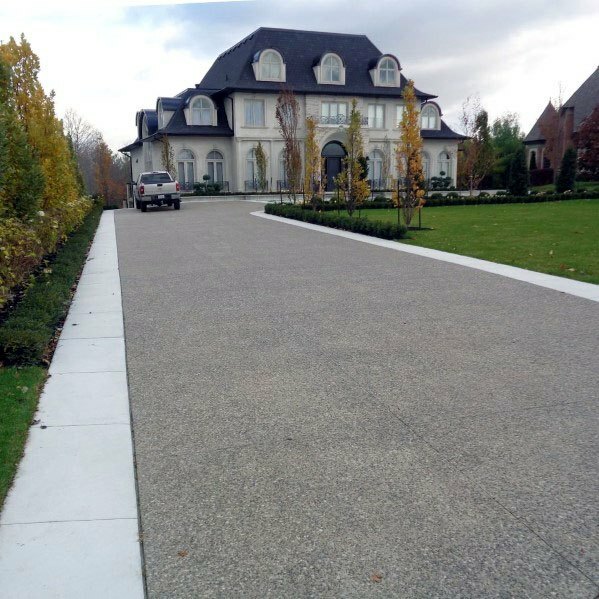 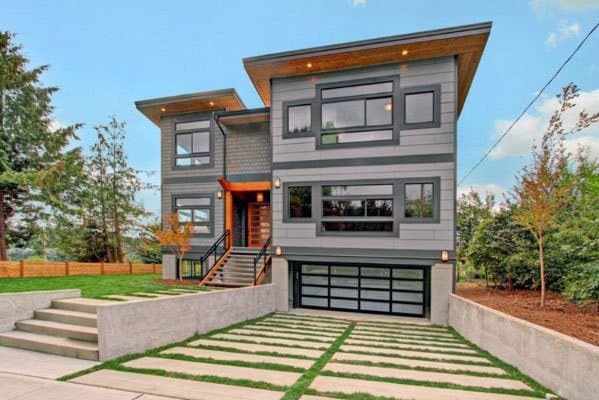 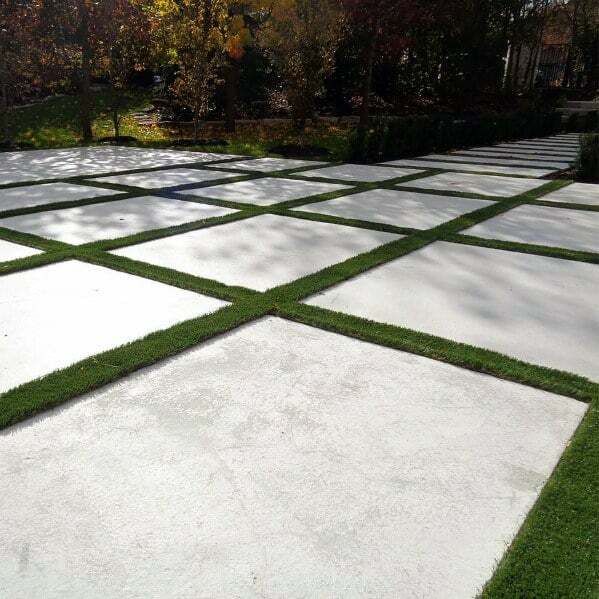 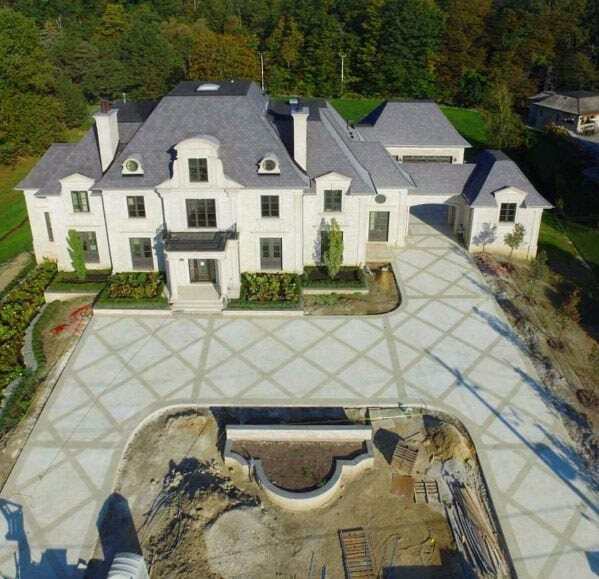 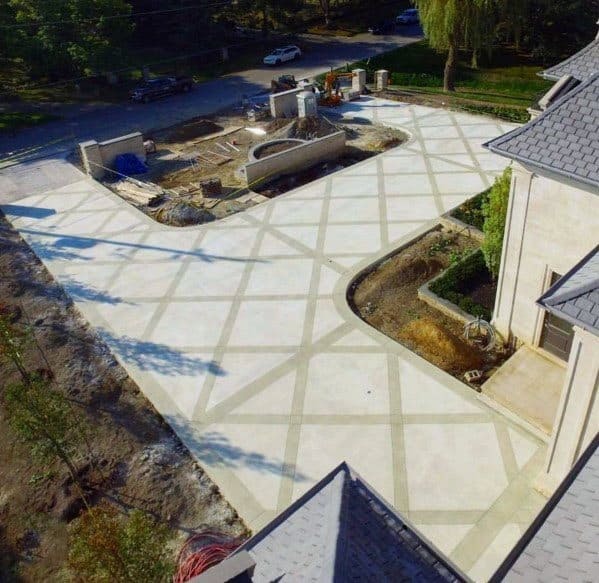 High-end concrete drives have wound their way into more than one palatial estate, and your own abode may indeed benefit from the concrete revisionist’s perspective. 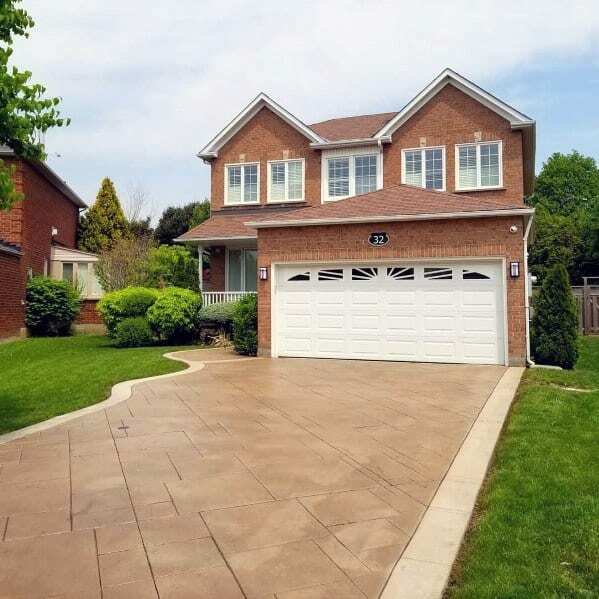 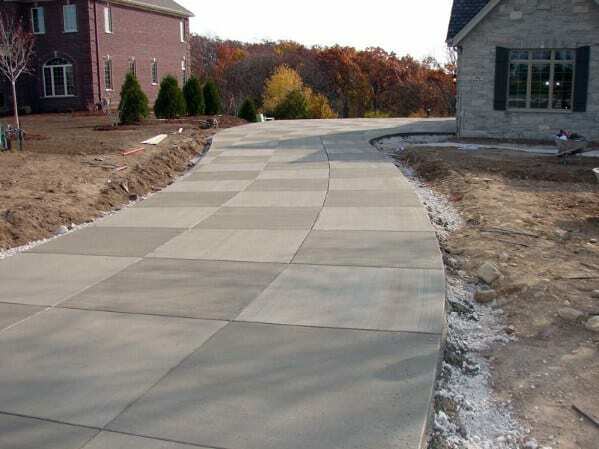 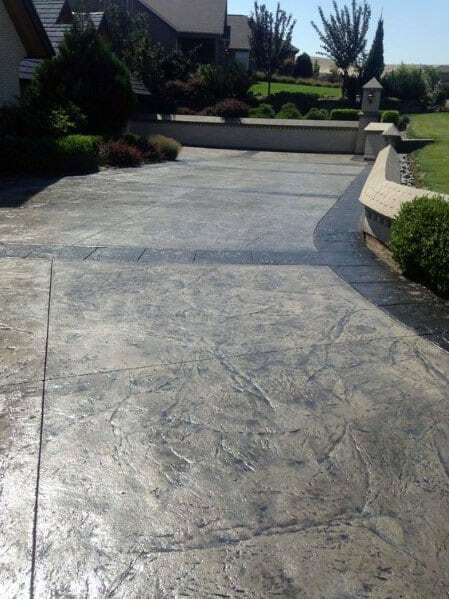 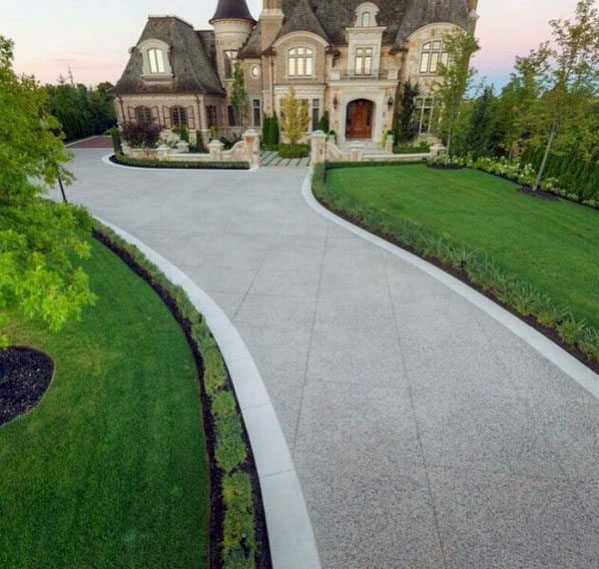 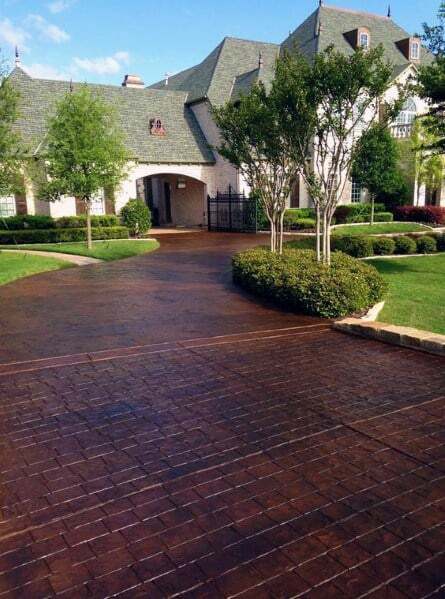 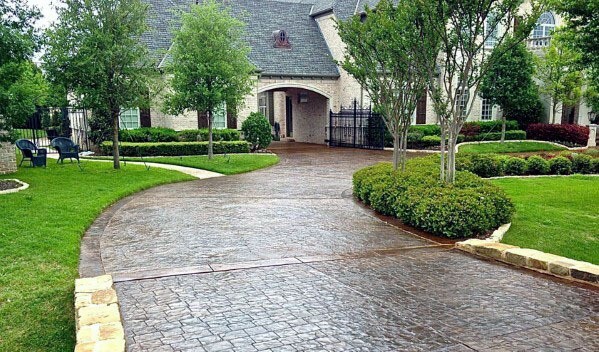 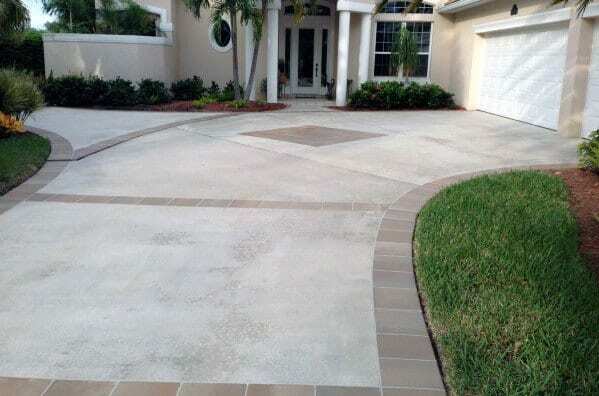 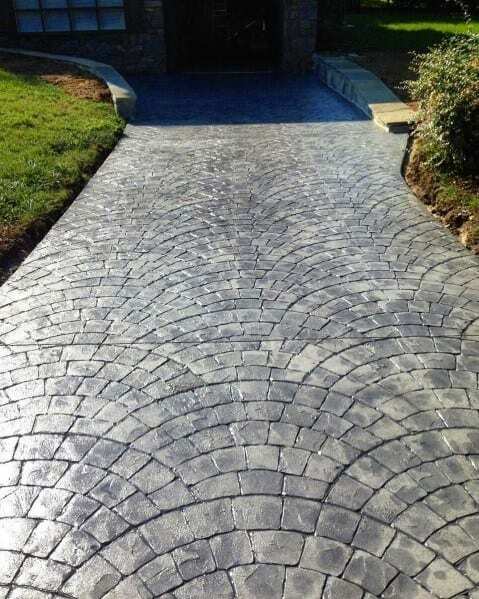 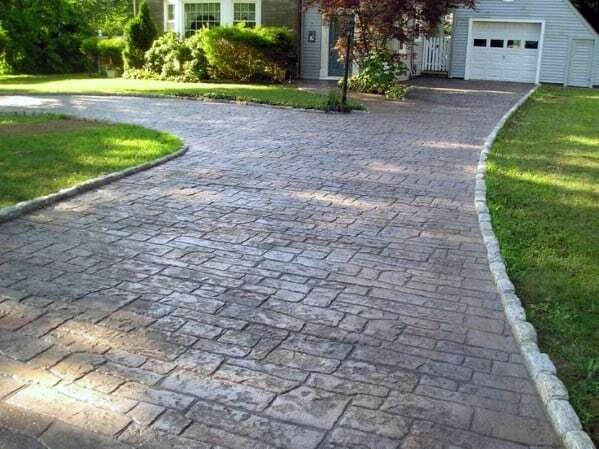 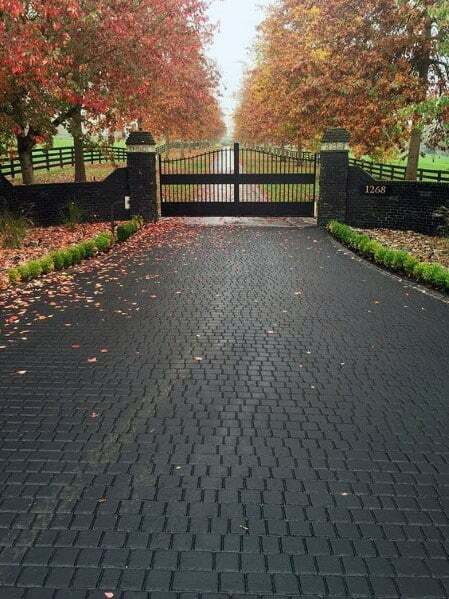 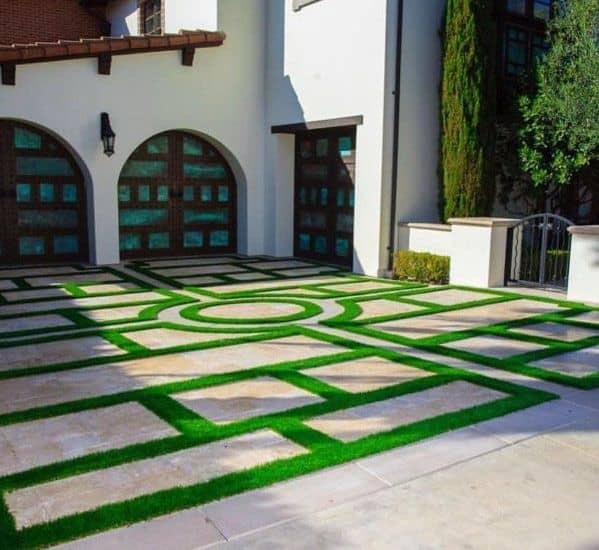 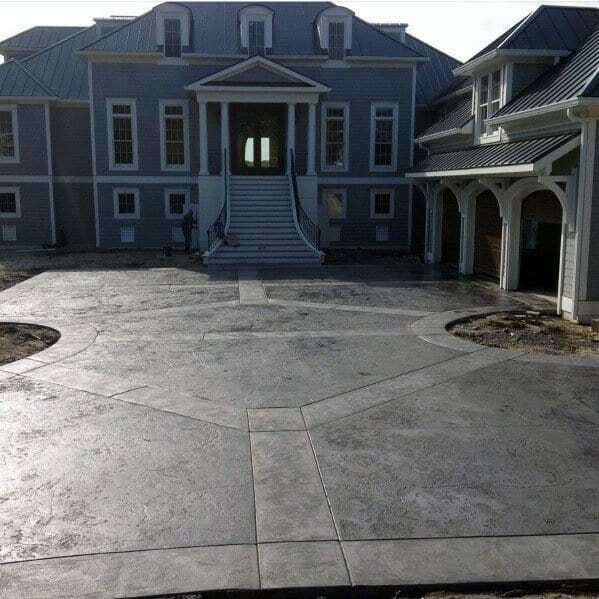 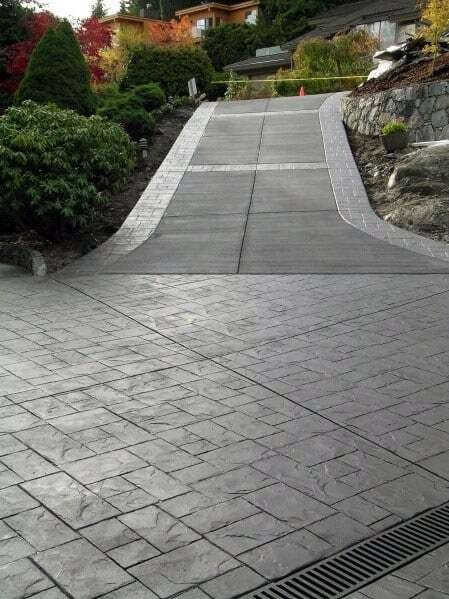 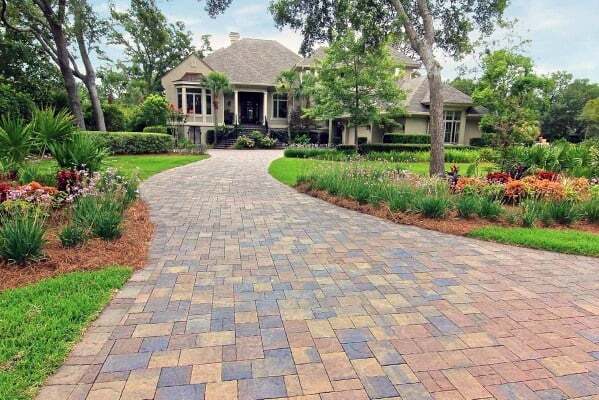 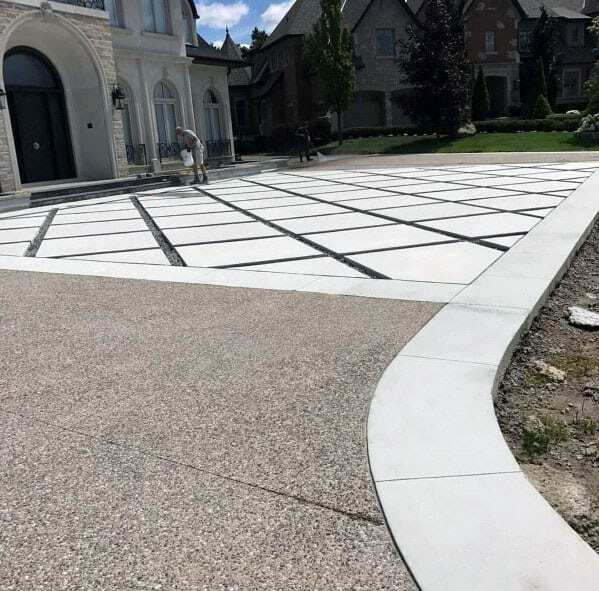 Stamped, colored, engraved, or even inlaid with other materials such as brick and tiling, the cement driveway is anything but standard in the hands of the modern masters. 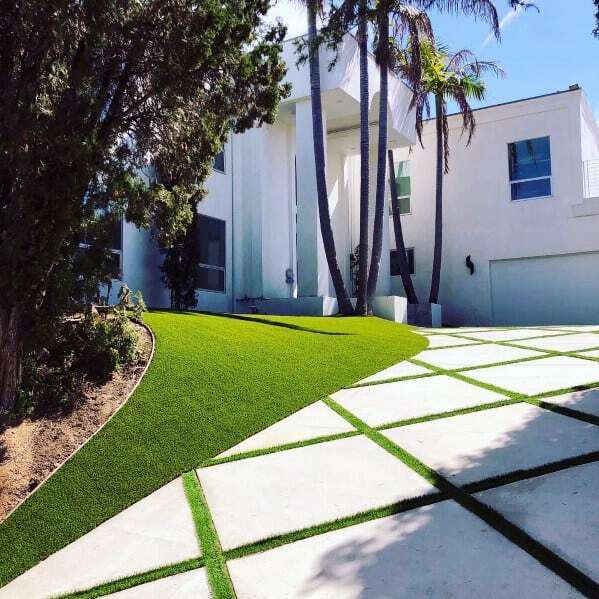 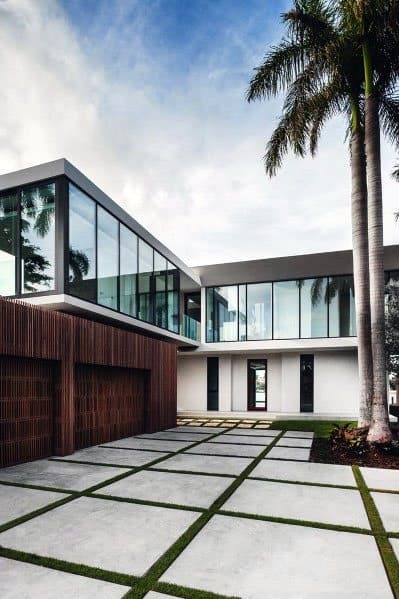 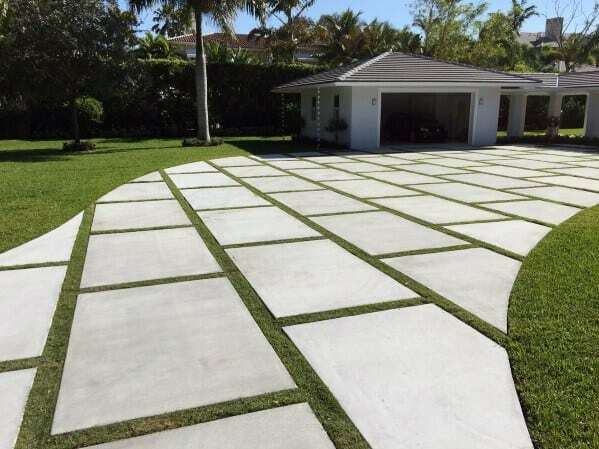 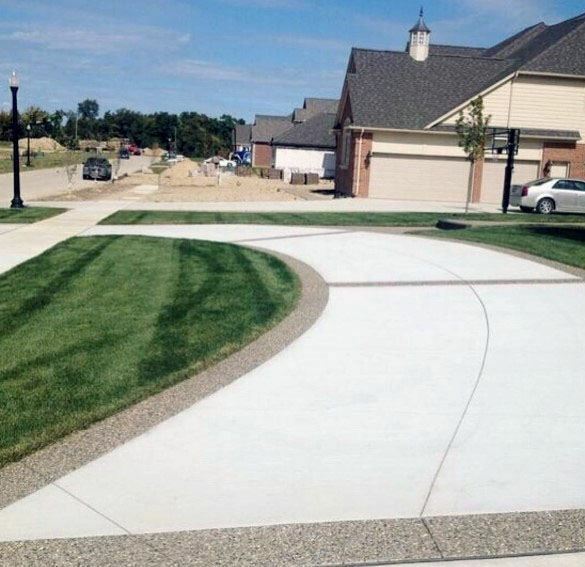 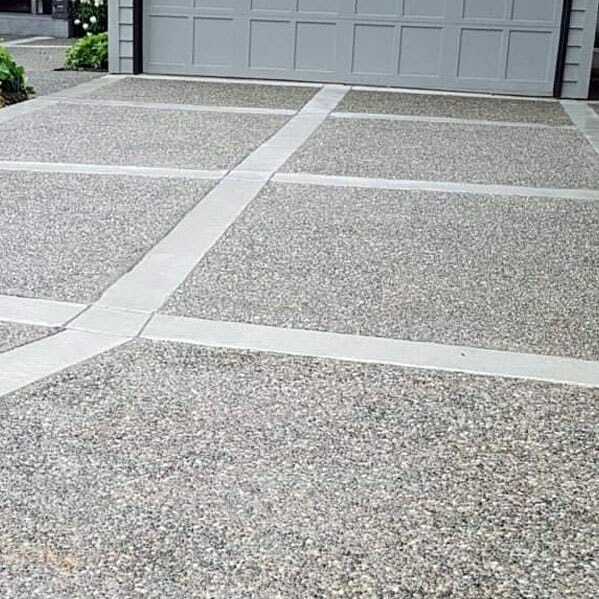 And thanks to its ability to withstand even the harshest of conditions and car traffic, your cement driveway will no doubt serve you in good stead for years to come. 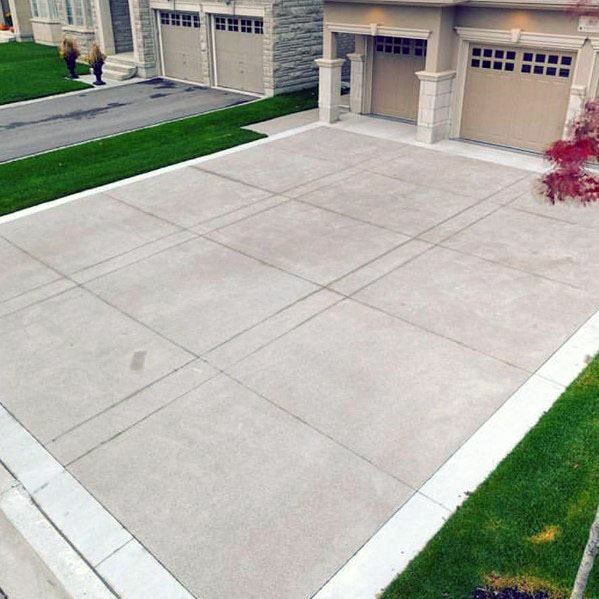 Coming home is one of life’s greatest pleasures, and nothing compares to the feeling of pulling up to your own drive after a long day toiling in the outside world. 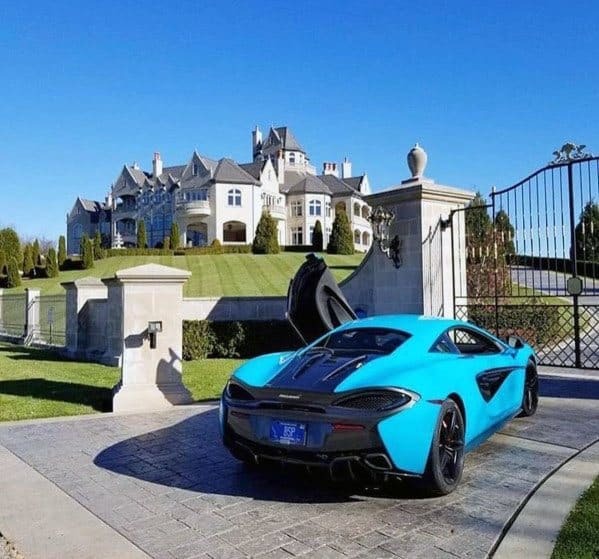 Surely it’s an experience worth savoring smoothly and in style? 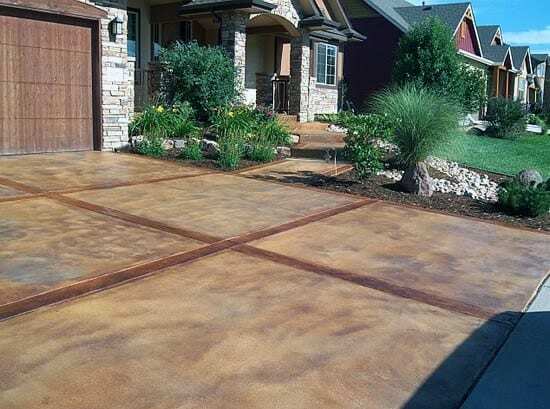 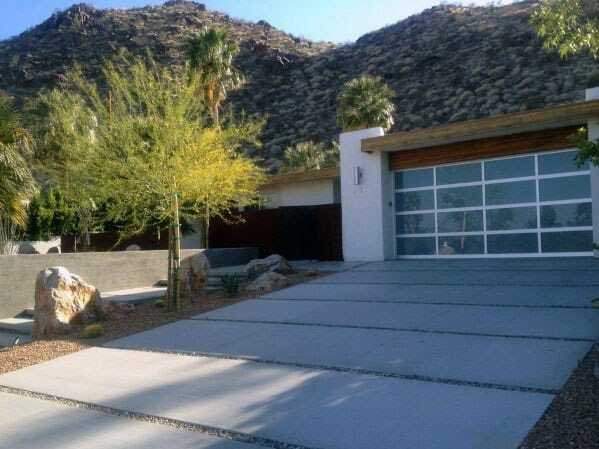 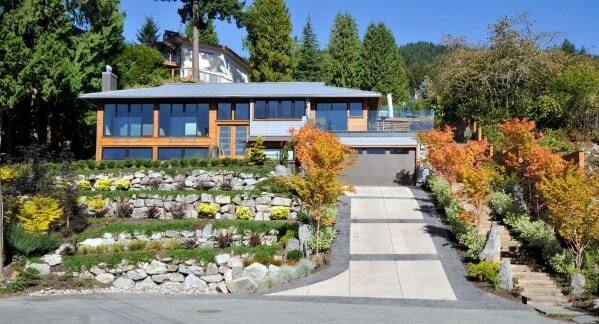 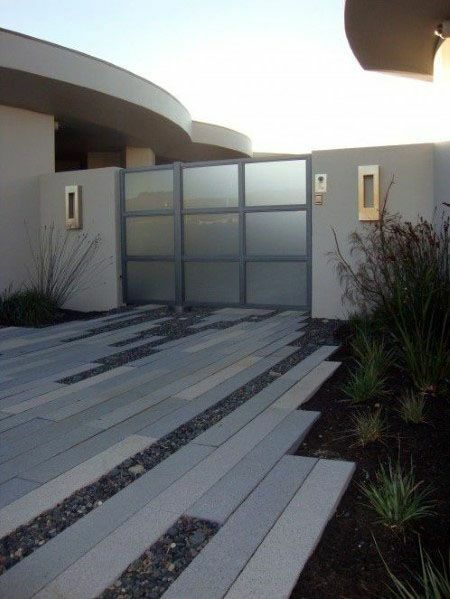 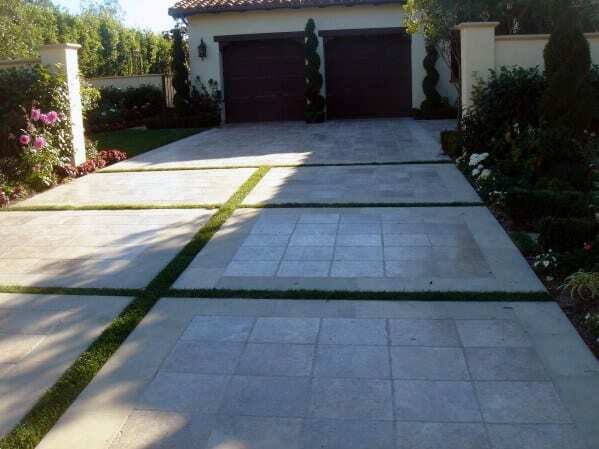 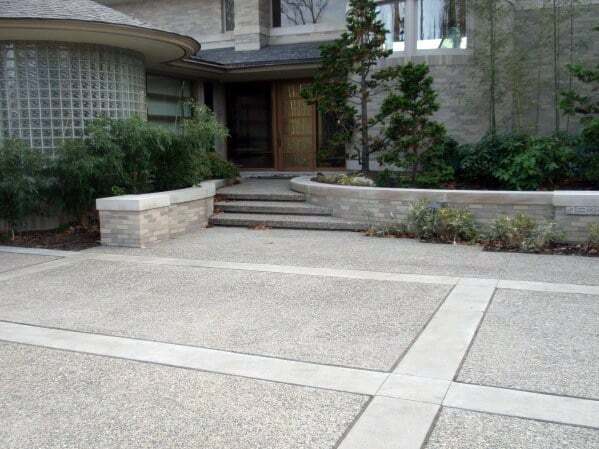 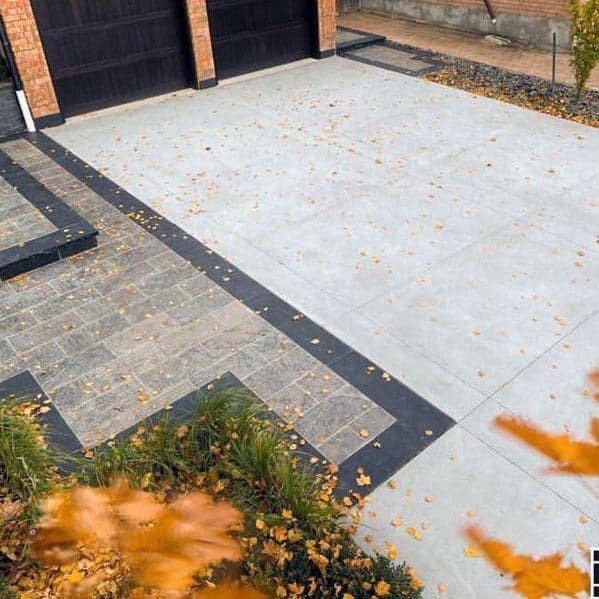 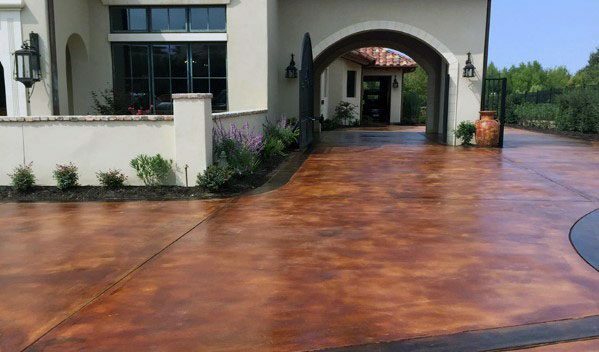 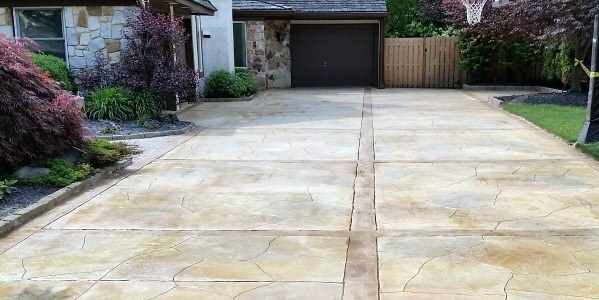 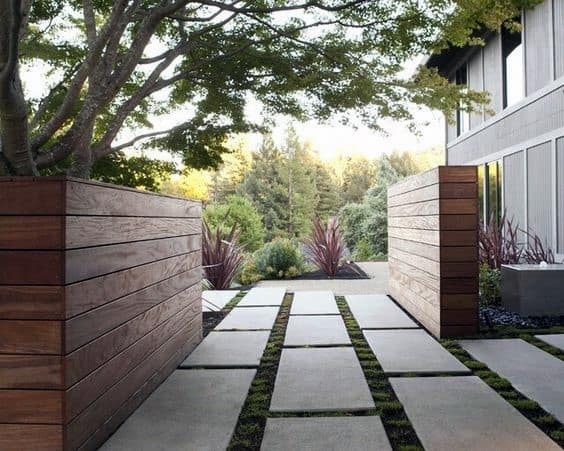 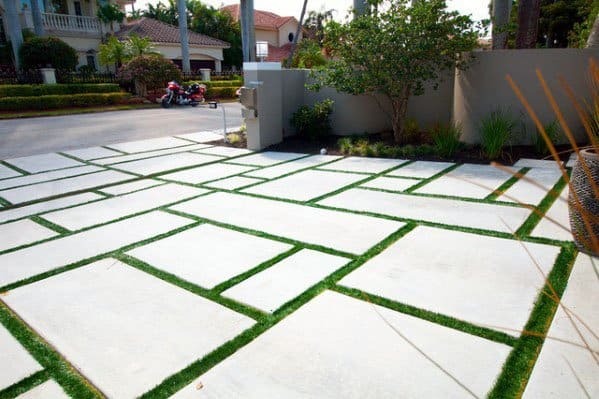 These top 50 best concrete driveway ideas are more than just well-worn routes to the front door, but chances to make the journey one worth remembering–and what’s more, inviting others to partake in.